"Liberty training is designed to bring a horse a sense of freedom and safety without using any tack, including no halters or rope. You work with a horse at liberty in a free, open environment where a horse does not feel constrained or restricted. This is performed in a large pasture or a rectangular arena, not in a round pen." I first came up with, and coined the term 'Liberty Training'© in 1976 *, when I began teaching the method at the training and breeding center I had at the time in Sonoma County, Ca, which was called Stonehenge Arabians. Magnetic Connection is a dependable connection, like when a foal shadows its mother and how horses are able to move in unity in a herd. This ability to feel and direct a horse from a Magnetic Connection instantly opens a person up with how to fit in with a horse and lead at the same time. It is quite magical. It brings out the type of leadership a horse would choose to follow. 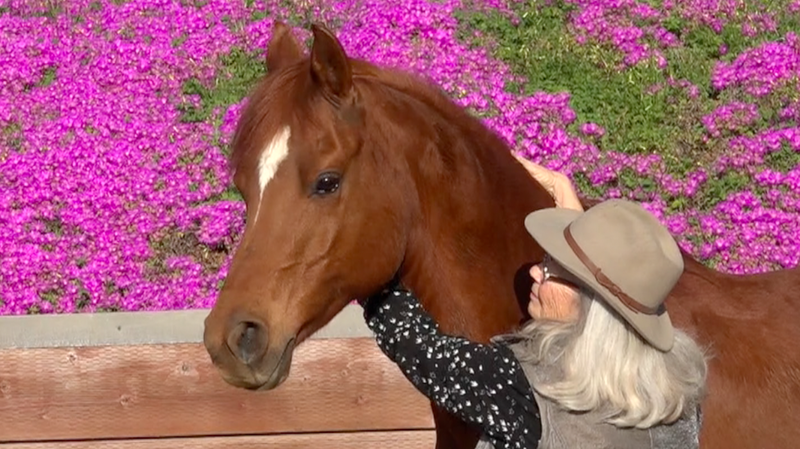 Carolyn Resnick works from her ranch, Dances With Horses, in Escondido, California and is available to teach you The Waterhole Rituals Method of training horses at Liberty, for private and group clinics. Carolyn is also available for coaching calls and has online programs to assist those who prefer to study in the privacy of their home! Nancy Zintsmaster, co-owner of the Carolyn Resnick Method and a certified instructor travels in the U.S. and internationally teaching The Carolyn Resnick Method. Jayne Forster, a certified Instructor in The Carolyn Resnick Method teaches from her ranch in England. IF YOU HAVE THE DESIRE TO LEARN AND TEACH THE CAROLYN RESNICK METHOD LEVEL 1 CERTIFICATION IS NOW AVAILABLE.